Beware of cheap (or free) printers! 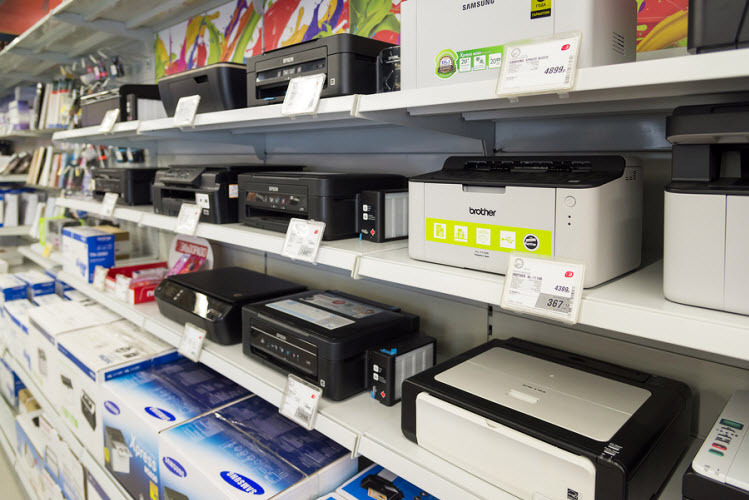 Read on to learn about the smarter way to go printer shopping. Go to any big box retailer and it’s easy to get lost in a sea of printers. With so many options and deals, consumers tend to gravitate towards the printer with the cheapest price tag, allowing other equally important factors to fall by the wayside. Many assume that if the machine comes at a a decent (or cheap) price, the cartridges, page yield, and print quality must be too. 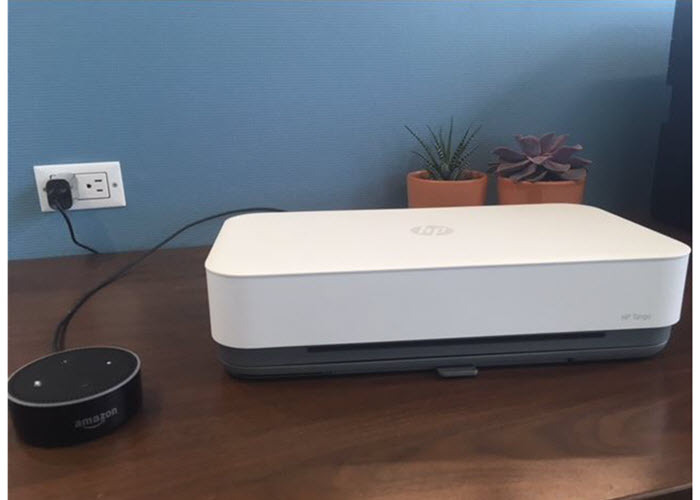 Especially now that most printers look sleek and stylish, we can easily get distracted by aesthetics from investing in a printer that truly fits our needs. In this article we’ll go over the ways cost can add up over the lifetime of a printer and also cover a couple of popular printers by type so you have a pretty good idea on which machine can get the job done best. Cheap printers generally use expensive cartridges. They end up costing more to maintain in the long term. A current real life example is the incredibly cheap Canon® Pixma® MG2920 that’s going for $49.99* on a few different retail websites right now. At first glance it looks like a steal. It’s an all-in-one machine, meaning it has print, copy and scanning capabilities. It’s wireless, uses both black and color printer ink cartridges and comes in a slick looking off-white color. The downside? The cost of the cartridges. 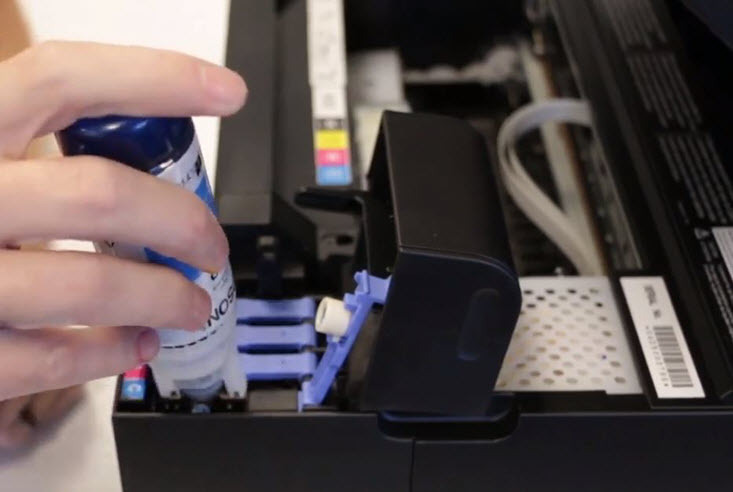 A brand new machine includes starter cartridges that are partially filled which is common practice for most printer manufacturers to get you up and running. Soon enough, you will be back in the store paying full price for a brand new set of standard or high yield cartridges. The average cost for a genuine high yield black cartridge for that Pixma printer is $25.99. and the color equivalent goes for $30.99. After one trip to the store you’ve already spent more than the initial cost of your machine. At that rate, you might be better off buying a brand new printer every time you run out of ink! We’ll go over ways to circumvent paying full price on ink later in the article, but for now we want you to simply consider the price tag of the printer and ink cartridge. Printers nowadays offer many different functions and features. You first need to decide if you need an inkjet or laser printer. Inkjet printers are compact, versatile and capable of printing both documents and decent looking color photographs. 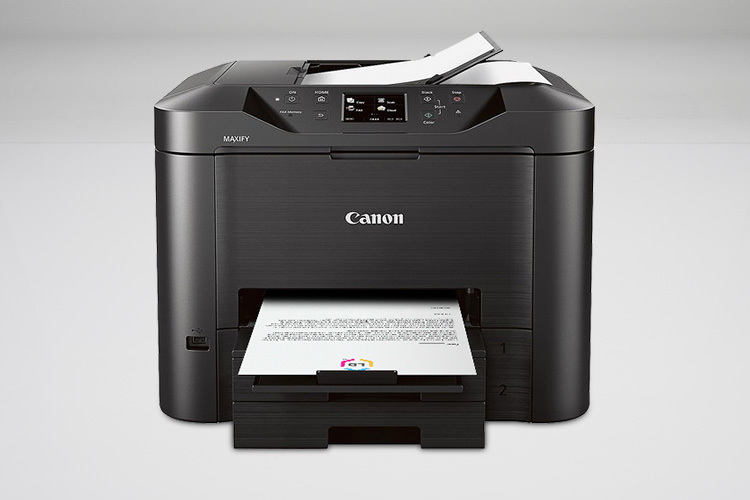 The majority of them feature all-in-one capabilities, allowing you to print, scan and fax with ease. Most include a wireless feature and require multiple ink cartridges to keep your machine running. Laser printers are considered the workhorse of the printing world. Common in offices, the most popular laser printers are monochrome, meaning they only print in black and white. For a legal office that prints a lot of documents and color is not a necessity, a monochrome laser printer makes the most sense. Laser printers use a toner cartridge to produce a print and although the cost of the toner itself is typically more expensive than an inkjet cartridge, they print considerably more in the long term. Color laser printers are also an option for offices that print a lot of color but instead of spending money on one expensive toner cartridge, you will end up spending it on four. In order to save the most amount of money and still get the right printer for your needs you first need to be familiar with a few terms that printer manufacturers frequently use when selling their latest and greatest machine. We will go over a few terms here, followed by some printer recommendations that will most certainly help you save. Page Yield – Page yield by far is the most important thing to pay attention to when considering a new printer. A printer’s page yield is the average number of prints a cartridge will give you as determined by the manufacturer. Manufacturers include this number on the box and the yield can vary significantly depending on what type of cartridge you have. Even printers with identical price points and features may have very different page yields and cartridges for a very different price. Page yields are based on ISO standards, using a standard test page at 5% coverage. Total Cost of Ink – Why is it so important to pay attention to a printer’s page yield? Because of how it translates to the total cost of ink your printer will use regularly. The cost of ink is where most printer manufacturers make the bulk of their money. As illustrated by the previous example with the Canon, printer companies will often sell their machines for cheap, only to charge a premium on the ink. The cost of ink is calculated by dividing a printer’s page yield by the cost of the ink cartridge. For example, the price of a genuine HP 61XL black ink cartridge is $39.99 and its page yield is 480 pages. After a bit of division, the cost is 8 cents per page. This is why aftermarket cartridges have become such a viable alternative. Aftermarket cartridges can be worlds cheaper than the genuine brand, and if bought from a reputable supplier, come with a nice guarantee too. If you were to buy a compatible HP 61XL black cartridge at $15.99, your cost would only be 3.33 cents per page. Compare with 8 cents a page for original HP cartridge, that’s less than half the price! Duty-Cycle – A duty cycle is the number of pages a printer can print in a month without any issues. 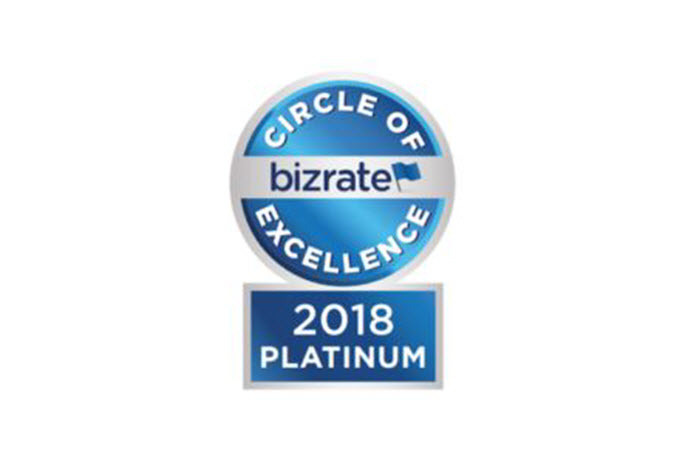 Businesses use this number as a way to keep track of performance and to gauge when a particular part might go bad. Replaceable parts like a drum or fuser assembly will wear out over time and can be expensive to maintain. Keeping tabs on wear and tear will keep your printer running smoothly for a longer period of time and ensure you are getting the most from the machine. Consumers that routinely print at a high volume should pay attention to their printer’s monthly print volume, or the number of pages a user requires from their printer. If you print 5,000 copies a month it wouldn’t make sense to invest in a printer that only handles a 1,000. Read up on the statistics of each machine you are considering and buy one that makes sense for your needs. If you only print a few times a day your monthly print volume shouldn’t be a concern but you should still pay attention to your cartridge’s page yield. Print Speed – Printer companies call a printer’s speed PPM, or pages per minute, and the quality of a print can vary depending on how quickly you are churning out pages. For example, printing in draft mode may be faster but the end result isn’t going to look as good compared to a print in optimal mode. Laser printers tend to be much faster than an inkjet and are the preferred machine for a business that has a need for speed. Now that you are familiar with some of the terms, it’s time to consider what type of printer makes the most sense for your needs whether for home use or business use. We’ve reviewed a couple of both for you to consider, with savings being one of their main criteria. If you are still on the fence about compatible ink, you can learn more about it here. If price is your only deciding factor, here’s a list of printers that are priced reasonably and also use ink efficiently. 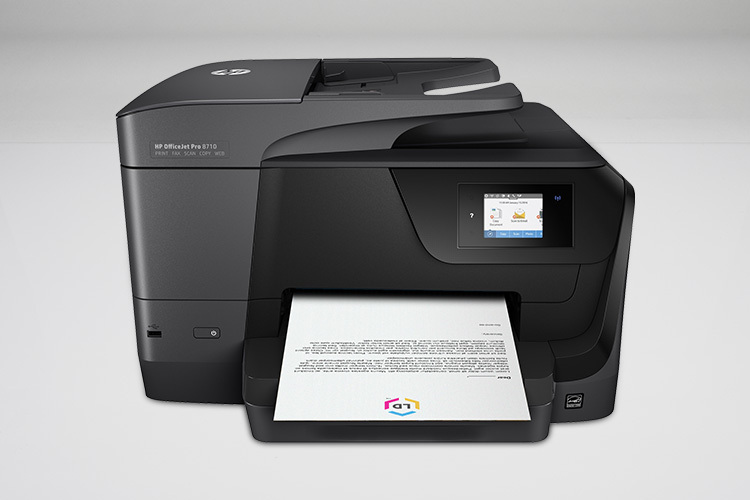 The HP OfficeJet 7612 is the most ink-saving printer that can produce prints as big as 13” x 19”. The HP 7612 printer uses HP 932 ink cartridges that produce around 400 pages meaning you can print more imagery in wide format for a whole lot less than you’d expected. The Maxify MB5320 is the printer to beat when it comes to functionality, features, and cost-per-page metrics. According to Canon’s metrics, each monochrome page costs around 1.5 cents, and full-color pages total to around 7.1 cents each. The standard Canon PG-2200 cartridge prints up to 1,000 pages and the high yield PG-2200XL cartridge prints as much as 2,500. This model is designed for a mid-level monthly output. At $399 manufacturer sticker price, it’s clear that this model isn’t necessarily for the infrequent printer, though. If $399 is a tad much, another popular model–the Canon Maxify MB2720–gets similar results for a smaller sticker price. Each monochrome page printed by this model costs around 2.3 cents, and full-color pages print at around 8 cents per page. Beyond that, the MB2720 is one of PC Mag’s Best All-in-One inkjet printers for 2016 for both its high-quality print and low per-page cost. Manufacturer price: $249.99. Possibly the most efficient cartridge-fed printer in our rundown, this Brother printer produces black and white prints for less than 1 cent per page. Brand name MFC-J985DW ink cartridges, more specifically LC20 cartridges, print out 2,400 pages in black-and-white. Color LC20 ink cartridges cost around $15 and produce more than a 1,200 pages. For those who want a printer with the capabilities fit for home use, here are some printers you may want to look at. Compact and inexpensive and priced at $89.99, the Brother MFC-J460DW is a nice all-in-one option for the average home user. All-in-one machines are the most popular inkjet on the market. Appreciated for their ability to print, scan and copy, all three functions are very useful features to have at your fingertips. 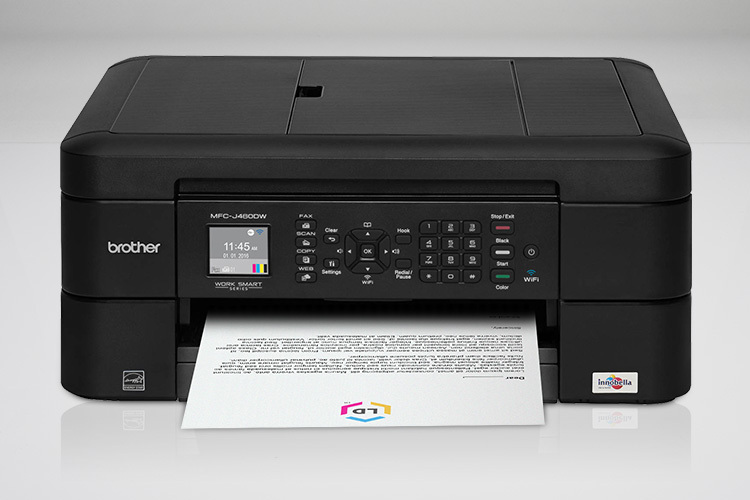 The Brother MFC-J460DW’s ink cartridges (LC201) are considerably less expensive than other similarly priced printers and its wireless connectivity option makes printing from anywhere a snap. The automatic duplex printing function saves paper and money, allowing you to print on both sides of the page with the push of a button. In terms of initial price point the Epson Expression XP-420 is slightly more expensive than the Brother but it makes up for its price tag on the cartridges. 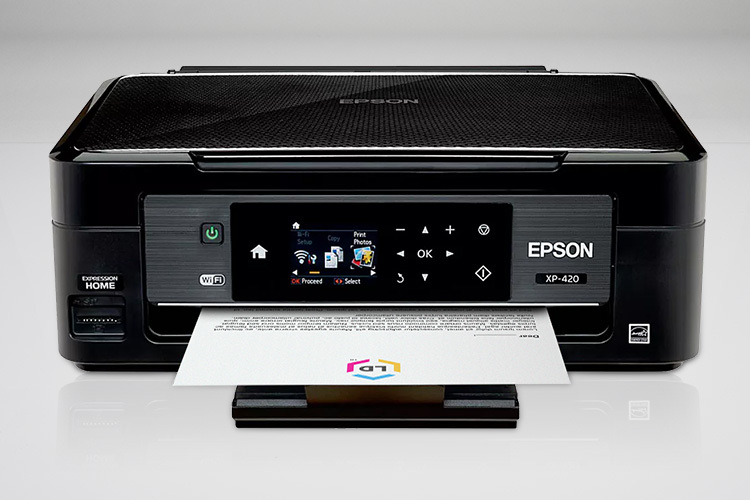 The XP-420 uses Epson 220 cartridges which are cheaper than the Brother J460DW’s LC201 cartridges. Other features, like the XP-420’s ability to print beautiful smudge-free photos, might make the slightly higher price of the Epson XP-420 a more worthwhile value. It offers a similar all-in-one functionality to the Brother and a handy built-in card slot for easy edits and prints from your camera. Update: A newer version of the XP-420 is the Epson XP-430. Priced at $49.99 from the Epson website, this printer has similar functionalities as the XP-420 and 50% cheaper. 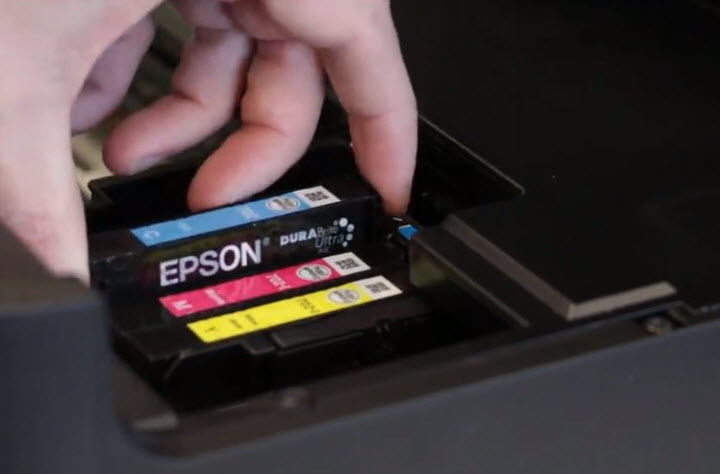 Instead of Epson 220 cartridges, the XP-430 uses the Epson 288 cartridge series which is priced the same as the Epson 220 series. What I like most about both of these options is the fact that they both require 4 ink cartridges (black, cyan, magenta and yellow). Some inkjet printers on the market require just two cartridges (a black and tri-color). What gets to be cumbersome about the two cartridge variety is the fact that when one particular color is low you’ll need to replace the entire cartridge. With a four color ink tank, you only need to replace the problem color which saves you frustration and money in the long run. Finding the right printer for your business is a tricky task. Every company has different printing habits and every business printer has different functions they do well. To make a calculated assessment of what your company’s habits are, take a look at our small business printer guide here. 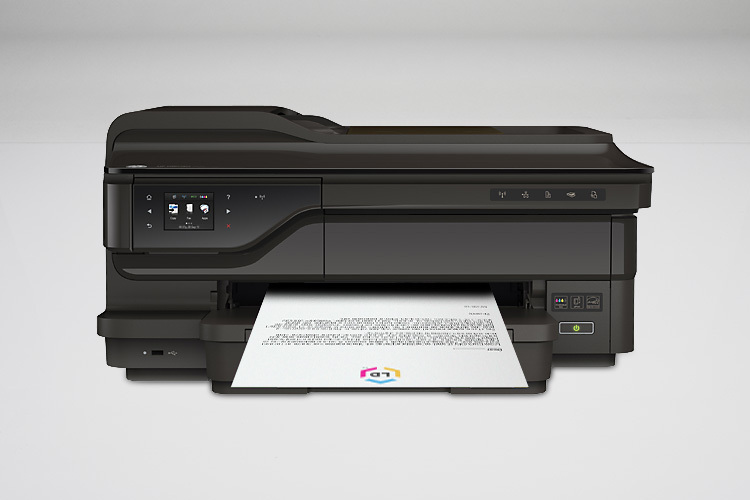 In the meantime, we will take a look at two inexpensive business savvy printers that might just suit your company’s needs. 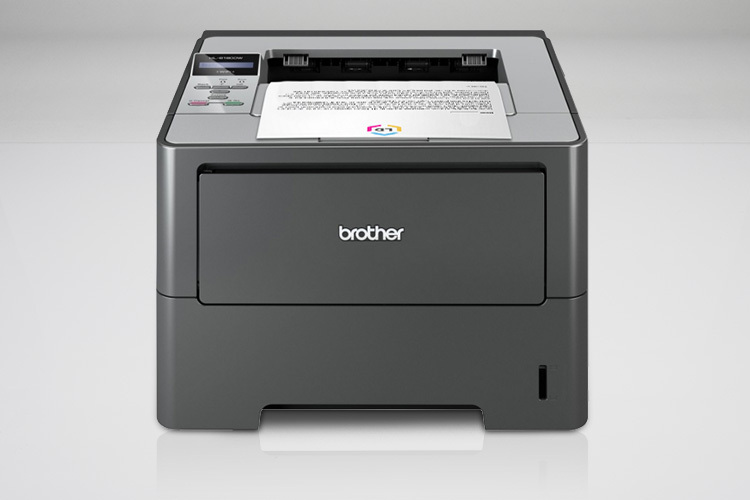 Brother’s HL-6180dw model is a moderately priced monochrome printer that is perfect for heavy duty office printing. Small in size, it fits neatly onto any desk or work surface. It’s easy to use control panel and built in wireless function lets you print seamlessly from any mobile device. 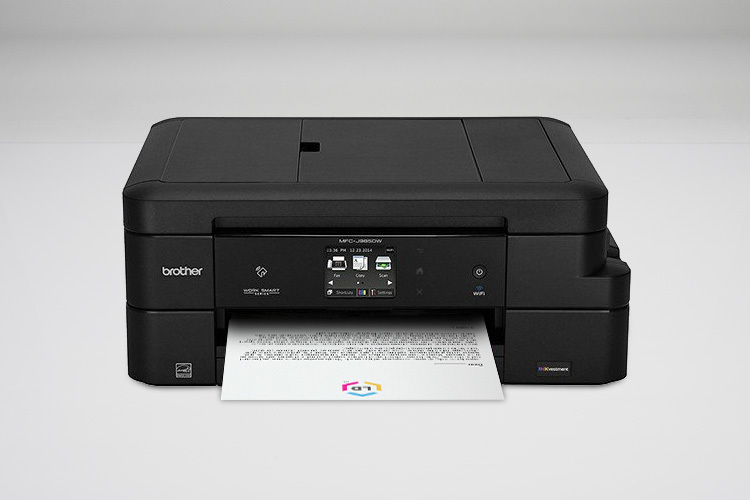 The Brother HL series also offers competitively priced consumables making it one of the least expensive printers in it class when breaking down total cost of ownership. A genuine TN780 Super High Yield Toner boasts a yield of 12,000 pages and goes for $112.99, making the total cost around 1 cents per page. If you go with a reputable compatible TN780 alternative at $24.99, the total cost is an unbelievable .4 cents per page! 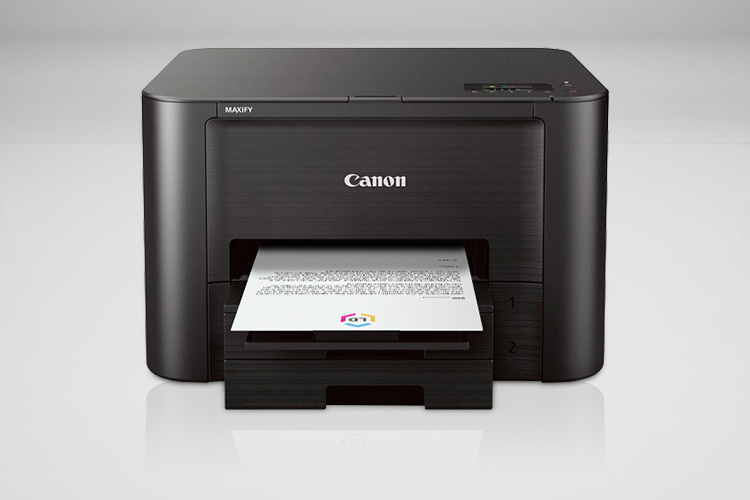 The Canon Maxify iB4020 is an inkjet printer that’s built for business. If you are looking for a color printer for your workplace but don’t want to spend a fortune on multiple color toner cartridges you might consider an inkjet. The Maxify series is a good place to start due to its inexpensive price tag and generous high capacity ink cartridges. Although the text quality is not as crisp your typical laser printer, it still holds its own against similarly priced laser printers in its class. Its color output for graphics and photographs is incredibly clear and vibrant. Comparably, color laser printers are known to be a bit dull when printing out color graphs or photos. 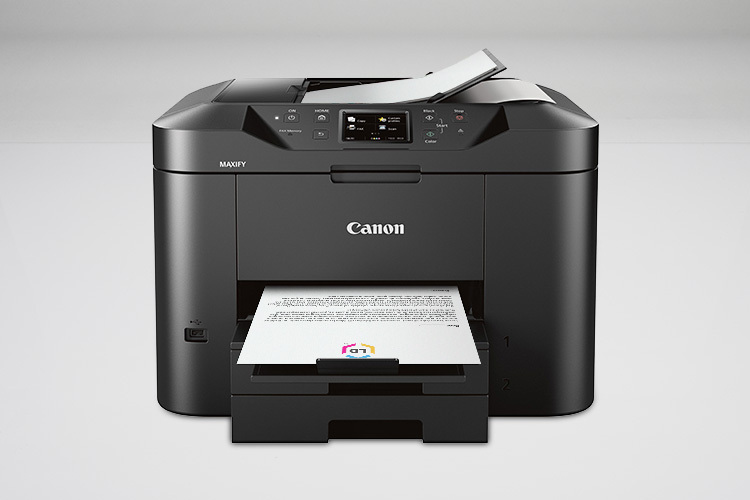 The Canon Maxify is a nice go-between, you get the durability and workhorse capacity of a laserjet with the precision and color brilliance of an inkjet, all rolled into one very capable machine. Even with dozens of printers to choose from, it’s easy to make a smart purchase once you’ve familiarized yourself with your options and weighed them against your needs. Keep in mind the total cost of the printer, not just the initial printer price, and you should be able to buy a machine you a completely satisfied with. *Savings based on price comparison between remanufactured/compatible cartridge prices and printer brand (OEM) cartridge prices effective as of January 13, 2016 on www.LDProducts.com. OEM names are registered trademarks of their respective owners and are not affiliated with, and do not endorse LD Products. too frequently the Epson printer want a new waste ink collection box. Do these boxes have a shelf life ? Although the collection can absorb much more ink, the ERROR prompt Cannot recognize collection box is a monthly issue. I spend near the same amount on maintenance boxes as new ink cartridges. I actually had a friend of mine have the same issue on an epson ecotank (the printer that doesn’t use ink cartridges, but a refillable ink tank) after some 10000 prints. He asked me to look into it. The printer will not let you print and will state a message for you to take it to a certified printer repair shop for replacement of the collection box but you don’t have to do that. I found a program online (search your printer model and “reset error program” on google) that you just run while your printer is connected to your pc and it will reset the error for another number prints. It works flawlessly and there usually are directions on the program website or program itself on what to specifically do. Apparently, some those programs online are the same programs printer repair centers use! Good luck! I have seen a very low-priced Canon but the customers review were nearly below zero. Would appreciate a reply shortly. I love my Brother printer but am unable to connect it to my Chromebook. I read that there is not a driver available for the Chromebook’s operating system. Has this been fixed? Brother printers are very good on price per page, but very few people realize that every 3 or 4 toner replacements, you also have to buy a new drum. Even a generic one costs more than a toner cartridge. Certain brands like HP have the drum built into the toner cartridge. So be sure to calculate the drum replacement cost into your ” per page ” cost when buying a Brother. I have an Epson workforce 2540 and I only use it every few weeks and sometimes once every two months. It seems I have to do an alignment, and a cleaning and something else every time I use it which Uses most of the ink on all four cartridges. It’s ridiculous! I’m looking for the same thing.. Did you ever find one? my epson will not allow refurbished ink.